The Federal Government deployed the Public Digital Bookkeeping System (“SPED”) in 2005 in order to unify the data transmission directly to government levels, improving the integration and crossing of information and inspection. Accounting books and tax documents began to be digitally issued in compliance with legal standards. The number of physical documents dramatically decreased. On the other hand, the number of information and the level of details increased. Every year, improvements and new implementations are executed on the digital bookkeeping procedures in force, moreover, constant changes are required by the tax authorities. In 2015, the Accounting Tax Bookkeeping (Escrituração Contábil Fiscal - “ECF”) and the Domestic eSocial took place. The mandatory EFD REINF and eSocial for all companies are scheduled for 2018. Due to the high complexity and constant updates, DPC offers consulting in the implementation and updating of SPED for companies that need to adapt their systems and procedures to the constant changes in SPED legal mandates. Adjust to eSocial and EFD REINF: is your company ready? Count on DPC to adjust your company to eSocial and to EFD REINF requirements. The Federal Government system that unifies the transmission of data and labor obligations will realize a meticulous crossing of information, increasing the risk of penalties to the companies, even if in minimal error. We have qualified professionals to review the company's records, procedures and internal policies in order to suggest the necessary changes to meet legal requirements. It is a long and complex project. If your company has not started the adjustment to eSocial and EFD REINF, talk to one of our experts. EFD - ICMS/IPI (Digital Bookkeeping Records for ICMS/IPI). NF-e (Electronic Invoice) and other electronic tax documents, such as CT-e, NFC-e, NFS-e, etc. 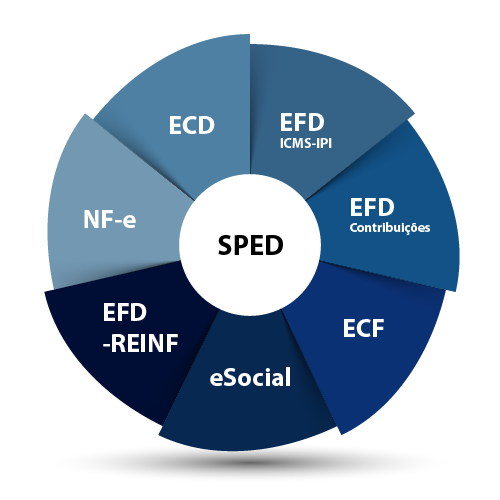 EFD - Contribuições (Digital bookkeeping for PIS/PASEP and COFINS contributions). eSocial (Provision of information concerning bookkeeping of tax, Social Security and Labor obligations). 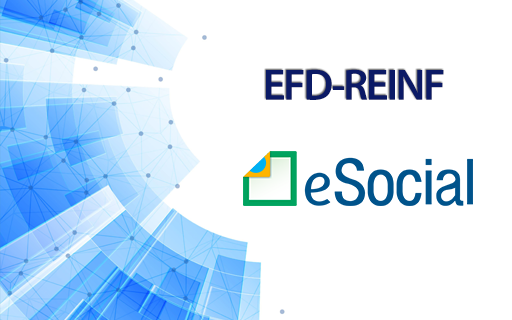 EFD-REINF (Digital Tax Bookkeeping for Withholdings and Other Tax Information). For companies with internal Accounting Department, DPC provides services of analysis, preparation, and transmission of electronic files of the following SPED requirements: ECD, EFD-ICMS/IPI, NF-e, EFD-Contribuições, ECF, eSocial, EFD- REINF. The company sends the archives in electronic spreadsheets to DPC. Our experts analyze the information; they convert the data into an appropriate format; and then carry out the file transmission complying with the legal terms and standards. DPC offers audit and reconciliation of the information reported on the archieves generated, in order to fulfill the appropriate ancillary obligation required. Workshops and seminars are tailored to the client need, those can be performed at client facilities or at DPC one. At this stage, the generation and transmission of OSH information to eSocial is the responsibility of the company or team specialized in Occupational Safety and Health. In addition, it is noteworthy that the records must comply with the periodic and non-periodic events, transmitted in the payroll files.